Sailboat. Image Credit: U Wallpaper. Here at Eris Propellers, we love boats and we tend to throw around a lot of boating terms like hull, spars, sails and rigging. We’ve compile a short breakdown of some of the main parts of a sailboat. The hull is the body of the sailboat, which has a bow at the front of the hull and stern at the rear. Almost all sailboats have fixed keel or movable centerboard, which are flat parts which extend into the water from the bottom of the hull to prevent the boat from shifting to either side and to keep it steady. While the keel is immovable, the centerboard can be adjusted through a slot under the hull. Spars are poles that support the sails and have masts (upright poles that hold the sails). Masts are then broken down into the mainmasts which support the heaviest and largest sails, while large sailboats may have more than one mast, and have secondary shorter masts called mizzenmast towards the stern or foremast towards the bow. Booms (poles that extend at right angles to the masters and hold out the sails) and gaffs. The booms are fastened to the bottom of the sail and gaffs and the fastened to the top. Rigging includes all the rope components of a sailboat. Standard rigging is permanent and are used to support the masters. They include the shrouds that descend from the bow to the mast. Running rigging includes all the movable ropes with adjust sails and booms, while the ropes that raise and lower the sails are called halyards. The ropes then used to adjust or trim the sales are called sheets. And of course, sailboats have sails. 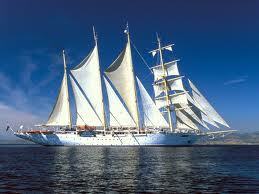 The largest sail is called the mainsail and it is attached to the back of the mainmast. A smaller, triangle shaped sail in front of the mainmast is a called a jib. The Genoa jib is a large jib that overlaps the mast and stretches back next the mainsail. The spinnaker is a balloon shaped sail used for added speed against the wind. At the Paris International Boat Show. Image Credit: Salon Nautique. Paris, the city of lovers, will be more than just a city of romance this coming December 2 (Saturday) to December 11 (Sunday) at the Porte de Versailles – it will also be a venue for the best in boating that Paris has to offer, with the forthcoming Paris International Boat Show 2011. An annual event visited by locals and tourists all over the world, the Paris International boat Show will showcase more than 1,200 exhibitors and 1,400 brands showcasing the latest models and gadgets. These models will be an epitome of the advanced technology and innovation of Paris boat manufacturers. There will be around 600 motor boats, 500 sailing boats, and 300 assorted small crafts this year. The boat show will feature four exhibitions: motor boating, equipment, sailing and tourism. For sailing and leisure, major French shipyards like Jeanneau, Dufour, X Yachts, Allures, Alliaura, Alubat, and J Europe will be paying a visit. What’s so great about this year’s boat show is the promise of shipyards to offer thrifty and lightweight boats! By going to the boat show, you can also know more about new trends in the industry, including renting and making boats more accessible and within budget. For equipment, you can find the best and most updated range of nautical equipments. There are even demonstrations as to how to use these equipments. As for tourism, there are offers that will take you to places on a huge discount—including Spitzberg, Mediterranean, and even Seychelles! Aside from the magnificent display of boats, the Paris International Boat Show is also the perfect venue for watersports lovers. Head to “The Spot” for activities such as windsurfing, surfing, kitesurfing, wakerboarding, canoeing, dinghy sailing, and paddle boarding! For debates, conferences, projections, and shows regarding the recent issues in the nautical industry, the “Scene Nautic” is the perfect venue. Aside from talks and conferences, the Scene Nautic is also the venue for the 1000 Navy sailors, a concert and fashion show in one. There are reduction offers if you’re taking the plane or looking for accommodations. Even your car rental will come with a hefty discount! So why don’t you treat yourself to an early Christmas gift and visit Paris? Planning to embark on a cruise with someone a little less comfortable traveling in water than you are? Or maybe you get a little nauseous whenever you take your hands off the helm. That’s most likely a manifestation of seasickness. Don’t be fooled. Seasickness is not all that harmless. Although a lot of people think of it only as a condition that can bring about nausea and vertigo, it can actually be serious enough and result in dehydration. Yes, seasickness can be incapacitating, especially since boats are capable of an extensive range of motions, from heaving and rolling to pitching and yawing. That being said, how can you enjoy the cool waters and deal with seasickness at the same time? At the very least, you should prepare yourself with these handy tips just in case you or someone in your yacht experiences a bout of seasickness. Preoccupying the mind with activities such as taking the helm of the boat and steering. This will give the person something else to focus on. Also, because this will give him the power to command the course of the boat, he gets to anticipate every movement of the vessel. This little discovery may even lead to the discovery of the inner boater in him! Medication for seasickness is readily available. Dramamine and Bonine are popular meds and should be taken before setting sail. Scopolamine transdermal, which can only be bought by prescription, is another effective medication. Cinnarizine or stugeron, sold only in the UK, is another effective med, but not in the United States. Keeping the eyes targeted at a fixed point in the horizon or at the shore can also help. You can also lie down on your back and try to close your eyes. Position yourself at the center of the boat, where the movement is most stable. Going below is the last thing a person with seasickness should do. Although this may sound like a good idea in principle, it will lead to more imbalance. While the eyes and everything else will feel stable underwater, the actual motion will only increase the level of seasickness. If the person is trying to avoid medication, there are home remedies that may prove to be useful. Anything with ginger, such as ginger snaps, ginger tea, and ginger ale can help deal with a topsy-turvy stomach while in mid-sea. Flat soda and crackers may also help. While seasickness is a problem for most people the moment they step on a moving boat, it is actually possible to be immunized through repeated exposure. 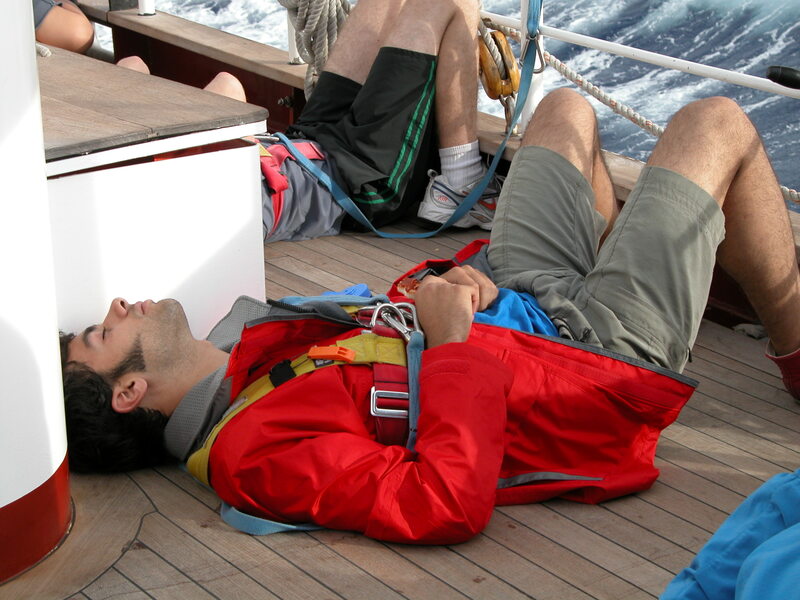 Who knows, with the right amount of excitement and fun while sailing, seasickness might just go away. Outside the 32nd Annual Athens International Boat Show. Image Credit: Athens International Boat Show. 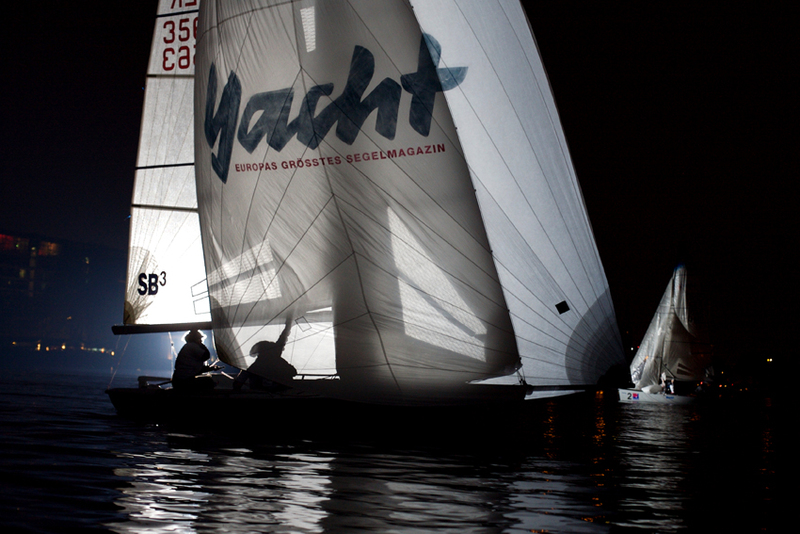 Ready to take your boat and props to the biggest boating event in Greece this October 15 to 23? Those are the set dates for the 33rd Athens International Boat Show, which will be hosted in the Metropolitan Expo at the Athens International Airport. This is also where the boat show was held two years ago. 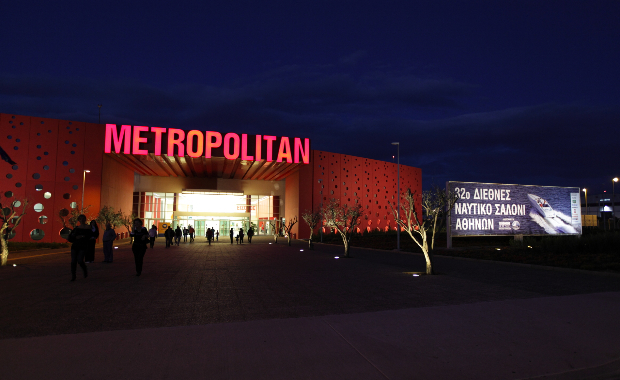 Where else could the Athens International Boat Show be held but in a modern, state-of-the-art exhibition center like the Metropolitan Expo? Because the Metropolitan Expo is easy to access, getting there won’t be a problem. In fact, the directions have already been laid out; all you have to do is pick which one is most convenient to you. There’s even free transportation! The preparations for the boat show are underway, and so far, the goal of the show is clear: to promote yachting and encourage boating enthusiasts to set sail en route to their favorite destinations. For nine days, the boat show will be a venue not only for the best and most innovative boats, but also the latest news concerning the industry. Because the boating industry is of national importance to Greece, you can expect this festival to be a coordinated effort of the government, the boating industry, and boaters themselves. A few activities that you can look forward to this event include sport fishing, professional fishing, extreme sports, boating, sea sport, diving, and yachting. Promising to cut across all sectors and segments of boating, the Athens International Boat Show will be a gathering of epic boating proportions! The admission fee for adults is 8 Euros, while kids under 12 can get in for free. Why don’t you take your kids with you? Come to think of it, this is the perfect opportunity to show them how exciting boating is… in Greek and beyond! Aside from the strong presence of local companies, you can also expect a lot of international contenders to be present in this year’s boat show. Organized by the EXPO One Exhibition Organizing Company in cooperation with the Greek Manufacturers of Plastic Sea Vessels Related Accessories and Services Association (SEKAPLAS PEEY), international organizations like the International Federation of Boat Show Organizers (IFBSO) and International Council of Marine Industry Associations (ICOMIA) will also be highly present during the event. Image Credit: Perini Navi Cup. From September 1 to September 4, 2011, Italy will bear witness to a clash of Perini superyachts in the 4th edition of the Perini Navi Cup. This year, the intense and high octane regatta will be held in the Mediterranean Sea with the appointment in Porto Cervo, Sardinia. The programme will start on Thursday, September 2, with the necessary inspections and registrations from 10:00 to 6:00 p.m. There will then be a Skipper’s Briefing in the YCCS Club House, followed by a Pommery Champagne Reception. The following day, September 2, will be the regatta’s first day race, which will wrap up with an After Race Hospitality Cocktail by 7:00 p.m. at Bar Aqua Piazza Azzurra. September 3 will officially be the second day of the regatta, starting with the Second Day Race at 12:00 p.m. There will be a Rolex Owner’s Dinner at the YCCS Slub House later on. The last day, which will be on September 4, will have the Third Day Race, and the prizegiving at the Piazza Azzurra. There will also be a final fireworks for the night. Organized by the Yacht Club Costa Smeralda, the Perini Navi Cup 2011 is also a collaboration of big players in the boating industry, with brands such as Marina Yachting, Sonus Faber, Yacht Capital, Audi, Axa Yachting Solutions, Icet, Quadrivio, Rolex, Champagne Pommery and Calvisius participating in the three-day regatta. 20 yachts are set to race in the three-day regatta. Not only will there be a grand Perini Navi Trophy, there will also be trophies for each daily race to be given by Marina Yachting, Axa Yachting Solutions, and Quadrivio Sgr Trophies. 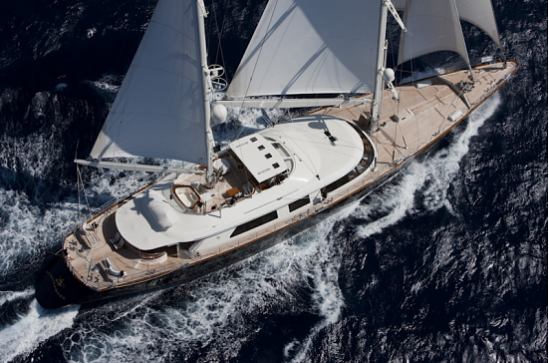 Perini Navi claims to be the world leader in motor yachts and mega sailing. Its yachts are one of the most innovative and competitive in the industry, so seeing these Perini superyachts in action is bound to be an exciting experience for regatta fans! The first Perini Navi Cup was held in 2004, followed by the next two editions in 2006 and 2009 respectively. If you’re planning to try your hand at boat racing or just want to witness superyachts go head to head against each other, then you shouldn’t miss this year’s Perini Navi Cup 2011. Since the event isn’t annually held, there’s no telling when the next Perini regatta will be held. When setting sail for Italy, just make sure that your own yacht is in perfect condition! Don’t forget to have your propellers and navigation system checked! Genoa, Italy. Image Credit: International Genoa Boat Show. Are you up for a sail with your boat to one of the most beautiful countries in the world? 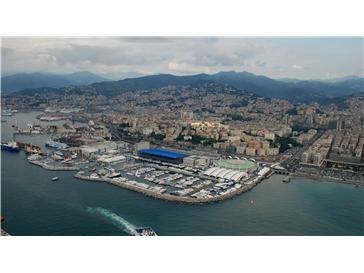 Here’s a delightful excuse to go to Genoa, Italy from October 1 to 9, 2011: the 51st Genoa Boat Show! One of the highlights of the show is the 100,000 square meter water basin that is enough to accommodate the best the biggest boat manufacturers in Italy have to offer. There are four exhibition areas and facilities—Pavilions C, S, Blue Pavilion, new Marina, Maruna Uno, Tensile Structure, and several other outdoor areas. So far 1300 exhibitors will be participating on the show. As for the number of models that you can feast your eyes on, there are around 2,000 models that will be on display. Because 450 of these are new models, be prepared to revel in the latest technology and innovations of boat manufacturers. This year’s Genoa Boat Show will also feature the GenovaInBlu—a series of events and activities that will introduce first time boaters and boat lovers alike to different aspects of boating. What makes this year even more special than the last is the Genoa International Boating Forum, where an international round table conference will be held among the key players in the industry. The conference will be headed by Fiera di Genova and UCINA. When the Genoa Boat Show was launched in 1962, it only accommodated a small segment of the boating population. In fact, there were only around 30,000 attendees. This quickly changed by 1966, when the Show was organized in part by UCINA and the Association of Boat Industries and Shipyards. To date, the Genoa Boat Show has seen 50 successful editions, with each year bigger and better than the last. The boat show will be open from Saturday through Sunday, from 10 a.m. to 6:30 p.m. Tickets are priced at 15 Euros, while concessions need to pay only 12 Euros. Bring your children below 6 years old; their entrance is free! You can also bring your dog, if muzzled and on a leash. In fact, the boat show’s site has dedicated an entire section just to help you plan your stay in Genoa. If you plan to sail your way to Genoa, don’t forget to make sure your boat is in mint condition, accessories and propellers included! Nightrace. Image Credit: Hamburg Messe und Congress. From October 29 (10 am to 6 pm) to November 6, 2011 (10 am to 8 pm), the internationally acclaimed Hamburg International Boat Show will again celebrate the best in motorboats, trend sports, sailing, and angling! There will be even more exhibitors this year, with around 750 exhibitors making their appearances and presentations for the first time. The year, the 2011 show promises to be an exciting showcase of the latest yachts, catamarans, and trimarans in what will definitely be the biggest in-water exhibition in Germany! The Hanseboot 2011 programme holds promises for boating fans of all ages. There’s a corner for first timers who want to try their hand at skiff and dinghy sailing. All you have to do is drop by the Sailzone. Class associations and clubs are also present in this area, for boating enthusiasts who are planning of finally joining a boating club. This is also where you can take a look at the latest equipment and accessories in boating. hanseKids is another corner that’s free of charge for all children, as long as they are registered in advance. hanseKids will take children to a taster sailing session, with optimist dinghies powered by wind machines. 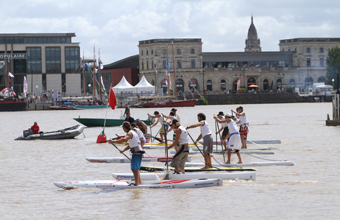 Online booking until August 2011 is available to all visitors. Another thing to look forward to in the Hamburg International Boat Show is the hanseboot arena, where a big water basin will be set up for watersports such as surfing, canoe polo, and stand-up paddle surfing among many others. Watch out for presentations and demonstrations that are bound to teach you a thing or two about safety in watersports. When would be the best time to go on a holiday? What are the essential safety tips to keep in mind when seafaring? All these will be answered by hanseboot cruise consulting. Experts on the subject from far and wide will help you finalize your boating plans once and for all. In fact, you can even make consulting appointments in advance online. This is also the perfect opportunity to make connections that matter. The 7th Marine Forum, organized by the Committee on Marinas and Water Tourism Facilities of HTG (German Port Technology Association), is present innovative projects and opportunities for networking among the boating community. Getting to the Hamburg Fair site is easy enough if you’re traveling by car, rail, or plane. Hotels are easy enough to book online, too. With the strong presence of the Hamburg International Show, its success is without a doubt guaranteed. This will give not only boating manufacturers a great chance to prove their products in the midst of competition, but also make boating an even more popular and viable hobby.